SkySat-2 is the second of two prototype optical Earth Observation Satellites built an operated by Skybox Imaging that is licensed to acquire high resolution panchromatic and multispectral images of Earth. The first SkySat spacecraft launched in November 2013 aboard a Dnepr rocket and demonstrated the satellite bus and the imaging payload by acquiring impressive high resolution images from orbit including high-definition video that demonstrates the pointing accuracy of the satellite. 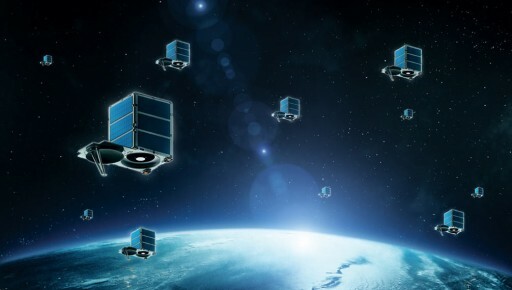 Following the success of the first SkySat mission, the company has announced that thirteen operational satellite would be launched beginning in 2015. One of the modifications of the operational satellites is the addition of a hydrazine propulsion system for orbit control. 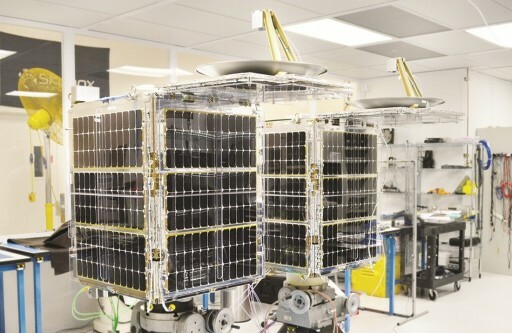 SkySat-2 weighs about 100 Kilograms featuring body-mounted solar panels and an aperture cover that protects the imaging payload during launch and initial orbital operations. The cover also hosts the high-data rate antenna of the satellite. The optical imager covers a panchromatic band from 450 to 900 nanometers achieving a PAN resolution of 90 centimeters at nadir. Four multispectral channels are covered by the satellite (Blue 450-515, Green 515-595, Red 605-695, and Near Infrared 740-900nm) achieving a multispectral resolution of 2 meters at nadir. A ground swath of 8 Kilometers is covered at nadir. Stereo imaging is supported by the satellite. The satellite acquires high-definition video in its PAN channel with durations of up to 90 seconds in which the satellite can keep looking at the ground target by slewing to compensate for the movement in its orbit. Video is acquired at 30 frames per second with a resolution of 1.1 meters at nadir and a minimum field of view of 2.0 by 1.1 Kilometers.